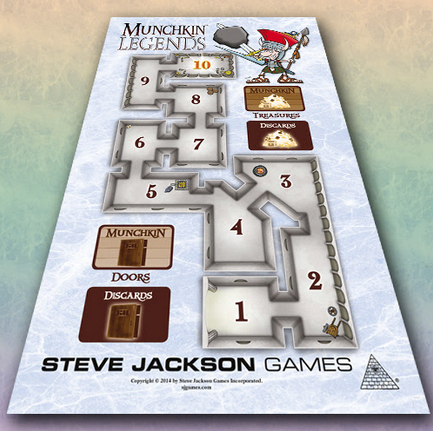 Retailers, do you want some Munchkin Legends playmats to give to your best customers? These playmats are big, beautiful, and work perfectly as a level tracker for a Munchkin Legends game. Getting them is easy: for each Munchkin Legends 2 Launch Kit you preorder from GTS Distribution, you get one of these playmats. GTS will be printing a limited number of these playmats, and preordering the Launch Kit is one of the only ways to get one! Gamers, if you want one of these special playmats, tell your retailer about this promotion. This offer expires on May 21, 2014.